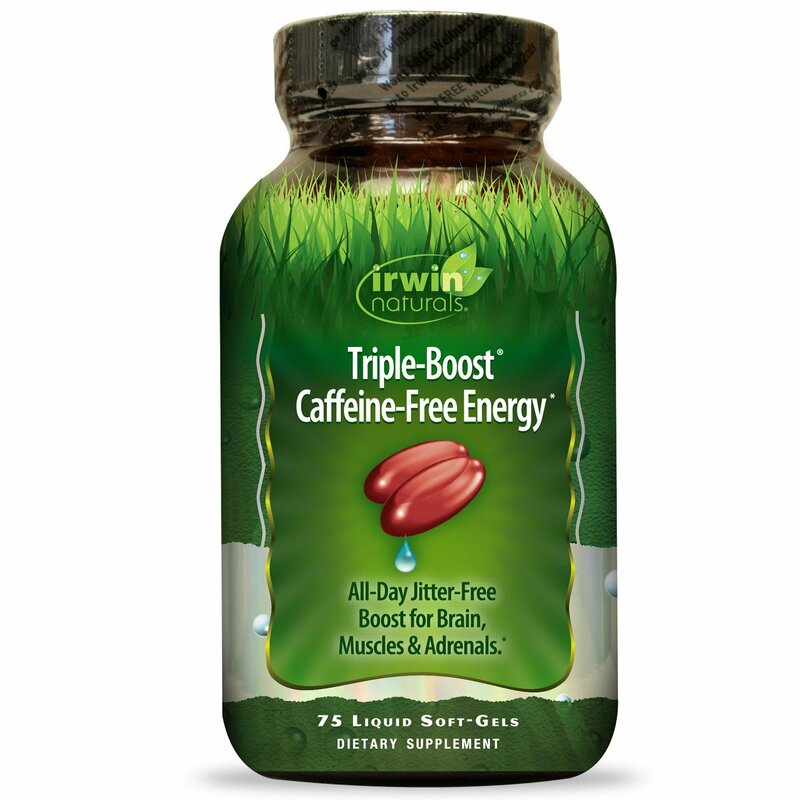 Triple-Boost Caffeine-Free Energy supplies a blend of nutrients to help you feel energized throughout the day. It can be used on a daily basis without the burn-out that occurs with caffeinated energy products. One: Cellular Energizers - B Vitamins convert food into cellular energy, while other key nutrients such as Creatine, L-Carnitine and Chromium help to drive mitochondrial ATP/energy production. Two: Adaptogenic Botanicals - Ginseng is called an “adaptogen” because it helps the body adapt to internal and external stressors, while helping physical and mental performance. Three: Super Foods - This formula is powered by a robust blend of “super foods”, including Maca, Spirulina, Bee Pollen and Royal Jelly. Liquid Soft-Gels - The nutrients in these easy-to-swallow Liquid Soft-Gels are released fast. Other forms of delivery contain binders and fillers that may cause stomach upset and offer no nutritional value. Advanced Liquid Soft-Gels provide an optimum delivery system. Quality Assurance - Irwin Naturals’ is committed to providing the highest quality products for your health. We employ compliance testing to ensure purity and potency. (Adult) Take four (4) Liquid Soft-Gels per day with food and a full glass of water. May be taken all at once or divided throughout the day. Soy bean oil, gelatin, soy lecithin, purified water, sorbitan monooleate, glycerin, annatto, beeswax, beta carotene, titanium dioxide, and caramel color.